Honestly, they REALLY love dirt! They love to sit in it, feel it, dig for worms in it, dump it, and shovel it. On our less-than-an-acre plot of land, our children are farmers and they are proud of it. 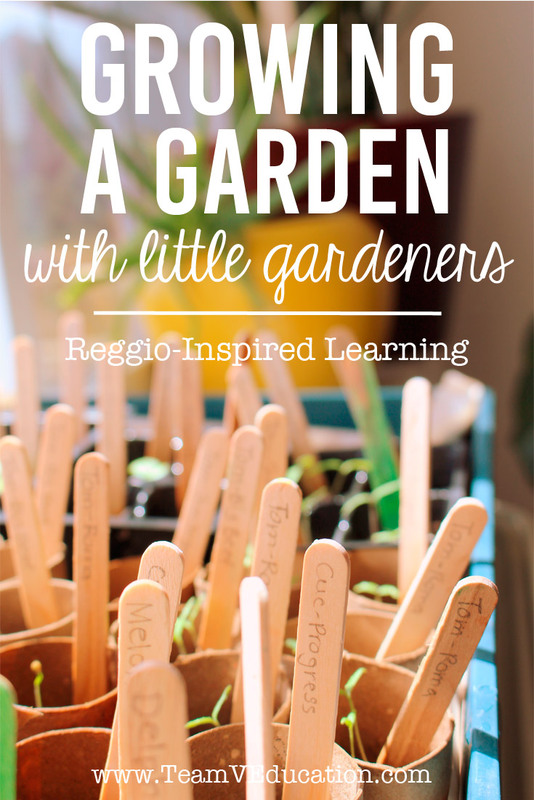 So as I journey deeper into homeschooling our little ones, and explore with a Reggio Emilia approach to learning, I am discovering how to cater to their interests. And in this case, they are interested in dirt. This year we added five more raised beds to our front yard garden. We now have eight in total. This is exciting for our family because we could potentially live mostly off of our land this summer with these gardens and the twelve laying hens we welcomed to our ‘homestead’ this Spring. This year we also took the plunge and ordered seeds, rather than buying plants from the local nursery. Buying plants is safe (and pricey). 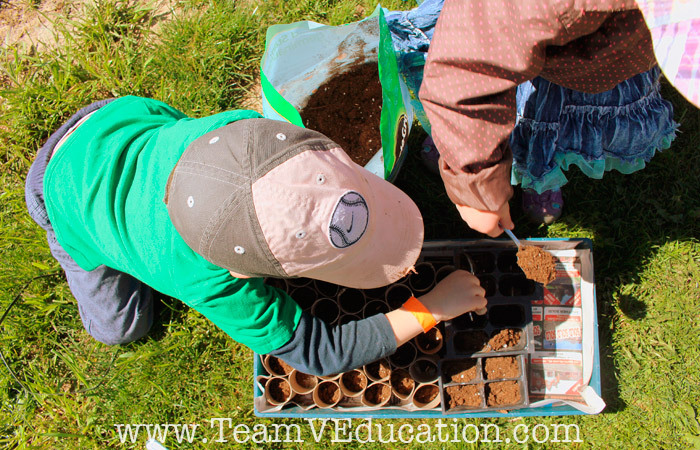 Planting seeds on the other hand is more cost efficient and serves to provide a greater learning opportunity. One sunny morning, the older children and I set out to prepare our little ‘pots’ for planting, while our one-year-old played in the dirt (surprise, surprise). With a little creativity that had them giggling (toilet paper tubes cut in half! ), we had a tray ready for planting in no time. They helped to place and plant the larger seeds that were easiest for their little hands to manage. 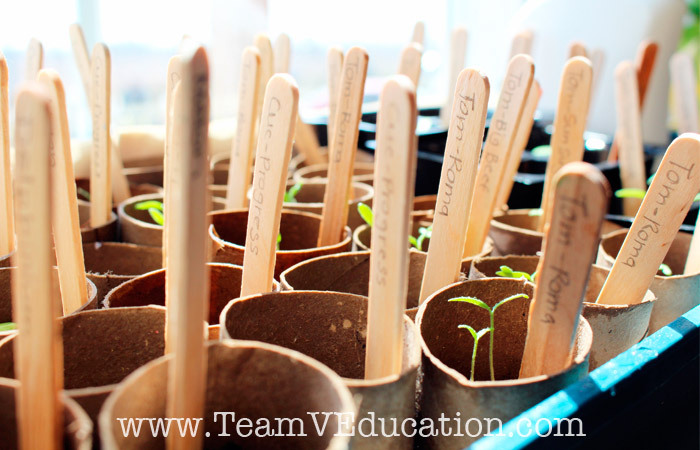 And then we watered our seeds and set the tray in the windowsill to grow. 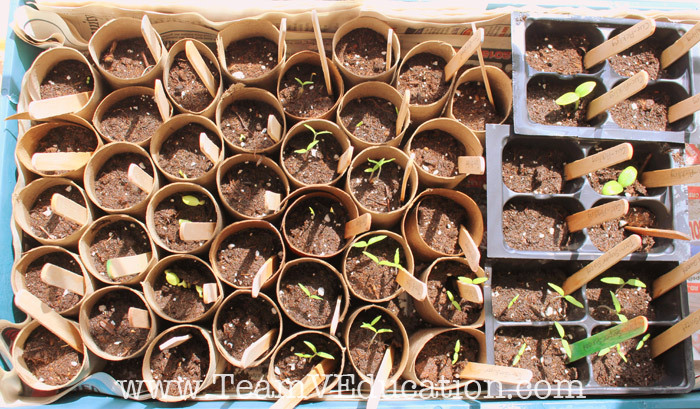 Nearly a week later we were thrilled to see that one of our tomato seeds had sprouted and begun to grow. It is such a joy to see our children involved in hands-on learning. They now eagerly anticipate the bountiful harvest that awaits them. 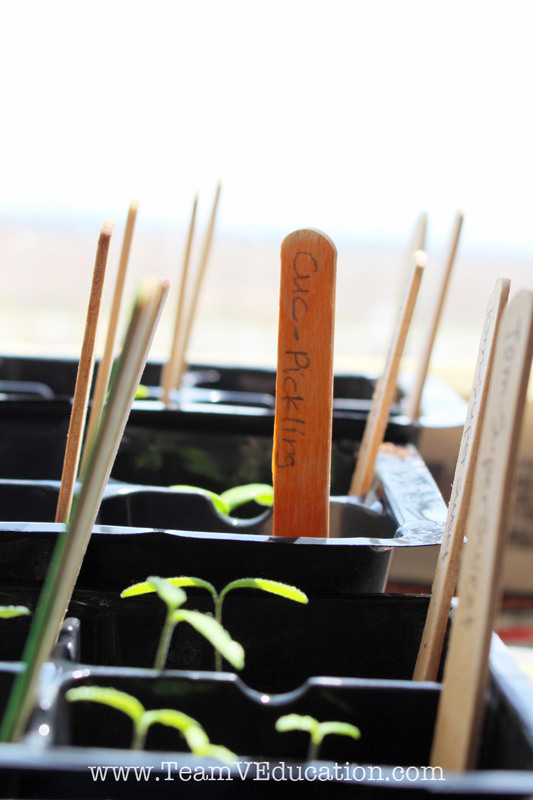 Take note from our little gardeners and get your hands dirty. I am sure you will enjoy the process as much as the product! 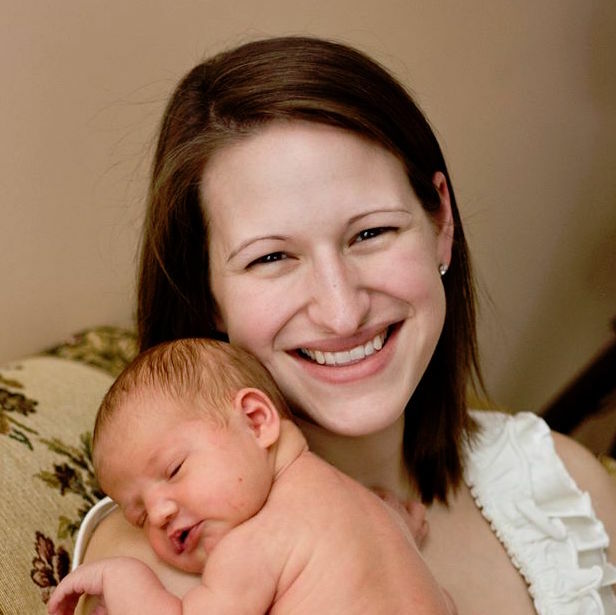 You are too cute and so is your little family! Thank you! We are definitely having a lot of fun! !